It's been quite a day for Zlatan Ibrahimovic fans: first the legendary striker reveals that the World Cup is not out of the question; then Jose Mourinho announces his days with the Red Devils are numbered. The Manchester United striker, who has been sidelined with a knee injury and retired from international football since 2016, said "the door isn't closed" regarding his playing for Sweden this summer. When asked about returning to the national team for the World Cup in Russia, Ibrahimovic said: "We'll see, it's a tough question." "I want to feel that I can perform, and give back. I don't want to just come because I'm somebody," said Sweden's record goalscorer, with 62 in 116 matches. 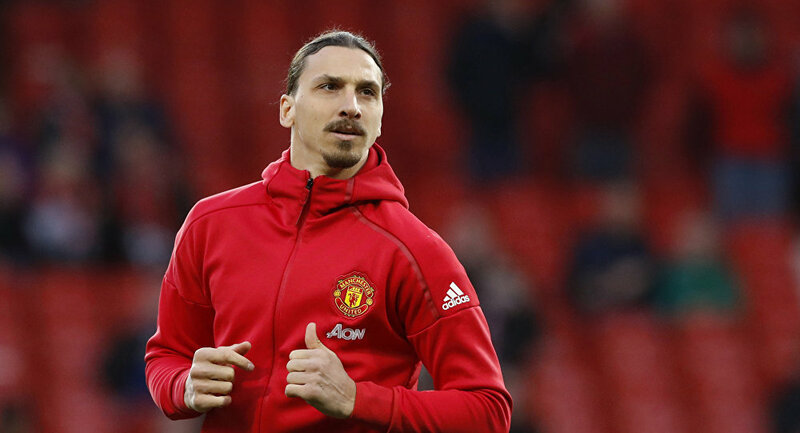 The 36-year-old striker was back in full training and hopeful for a first team return soon, but United manager Jose Mourinho just said he expects Ibrahimovic to leave this summer. Some considered the news hardly shocking. No surprise Ibrahimovic is leaving. If he hadn’t picked up such a horrific injury I wouldn’t have been surprised to see him leave last summer. Club supported him through rehabilitation. Did a great job for #MUFC for 3/4 of his first season. ​Others reminded Ibra was out so long, it's just a formality. Jose Mourinho confirms Zlatan Ibrahimovic will leave Man Utd at the end of the season. ​The Swede has already been linked with a move to MLS.